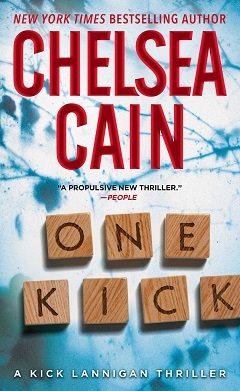 Chelsea Cain was born in Iowa City and studied journalism as a graduate student at the University of Iowa. Her master’s thesis—an account of her childhood in an Iowa commune—became her first book, Dharma Girl. Since then, she has become a thriller writer best known for her Archie Sheridan series. This On the Fly interview was recorded while she was in Iowa City for a reading at Prairie Lights. She considers the ways in which writing is a refuge for her rather than something that saps her energy. The distractions and demands of social media and promotion, she says, are the true challenge. Cain describes herself as a storyteller—as opposed to a writer—and speaks of her need to tell the stories in her head.